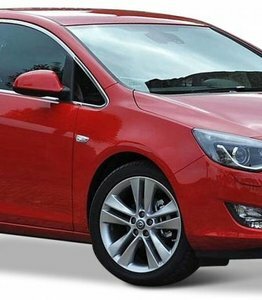 When is a windscreen replacement for an Opel Astra required? Do you want to replace the windscreen of your Opel Astra, but don't know how to do this? Then it is good to know that ordering a windscreen for this car from us is very advantageous. Before we tell more about this, we will go into the history of this special car. The Opel Astra is without a doubt one of the most iconic models of the originally German car brand. Since the introduction of the Astra in 1991, it has been one of the cars that has become an integral part of our roads. Many generations of this model have now appeared, the latest version of which was introduced in 2015 at the time of writing. If you want more information about windscreen replacement of an Opel Astra, you are in the right place here. No matter which version of this car you have, all the necessary car windows are directly available on this website at an affordable price. Nowadays this may be normal in many cars, but at that time it was not common to find such luxury in an affordable compact class car. Another special feature of the Opel Astra is that it is available in different styles. Almost from the beginning the Astra was available as hatchback, sedan, station wagon and convertible. As a result, Opel was able to reach a broad target group, because for almost all motorists there was a suitable form of bodywork in between. By also providing various levels of equipment, the Opel Astra was able to become an icon in Europe. It is also good to know that the right windscreen is available for all the different body shapes. A windscreen replacement of an Opel Astra is therefore possible for a hatchback, sedan, station wagon and convertible. In addition to the many options, the Opel Astra also had a special focus on the environment and safety. This is also because it was certainly not the standard at the time, as it is now the case. All the belts in the first Opel Astra, the Astra F, could be adjusted in height. In addition, there were protection bars in the side of this first model of the Opel Astra. Thanks to the built-in catalyst, the integration of reusable materials and the new ecotec engines, it was also a more economical and environmentally friendly car than many of its competitors at the time. The Opel Astra therefore led the way in a number of areas! Besides of course changing the appearance of the Opel Astra, each version has been made a little better. The latest models have low emissions, economical engines and a much lighter base of the previous Opel Astra models, for example. What hasn't changed is the diversity of the Opel Astra. The model is still available in many different versions: from a sporty convertible to a sturdy station wagon. The fact that the Opel Astra has lost little in its success is shown not only by the sales figures of more than 10 million since 1991, but also by the fact that the Opel Astra K was named Car of the Year in 2016. Partly because of this success, it is certainly advisable to replace the Opel Astra windscreen if you have any problems with it. The car is still incredibly popular and can therefore last a long time in good condition. The windscreen replacement of an Opel Astra is required if there is a large crack or tear in the window. This is often the case, for example, due to rubble, collisions or vandalism. A collision with an animal such as a bird can also be a cause. In all cases it is important to replace the windscreen of the Opel Astra. Continuing to drive with a crack in the window is not a punishable offence, but due to various factors it is advisable not to do so. The windscreen is very stiff if it is intact. This is due to both the materials used and the production method. The windscreen consists of two layers of glass with a strong film in between. By heating the glass quickly and cooling it down slowly, the glass acquires its strength. The film is placed between the layers of glass, after which it is pressed together as a whole and vacuumed, so that the windscreen cannot fall apart into a thousand pieces. However, if there is a crack in the window, the window is much slacker, so that the safety of the occupants may be compromised in the event of an accident. The reflection of the sun in the crack also reduces visibility. 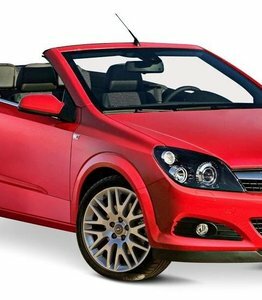 It is therefore recommended that you quickly have a windscreen replacement of your Opel Astra if you have glass damage. Replacing the Opel Astra rear window is also possible with us for a low price! Are you not insured for replacing a windscreen? Then it is good to know that it can also be a lot cheaper than you might think at first. A brand dealer initially has the exclusive right to sell car windows with a brand logo, as a result of which the price is higher than necessary. All automotive glass in our range have been specially produced for the after market. These windows come from exactly the same factory and are made of the same high quality, only with the difference that there is no brand logo on them. This makes the price much lower so you are more advantageous. No matter which version or version of the Astra you have, the windscreen replacement of your Opel Astra through us offers an interesting advantage. You can choose to order a separate car window to replace it yourself. If you do not have this knowledge in-house, it is possible to use our certified partners to solve this for you. In both cases, it is much more attractive than outsourcing the work to a brand dealer. Choose the cheapest option and order a new Opel Astra windscreen today.